The goal of the Democrats is not in any way shape or form to benefit this great country, it is only to obtain and maintain absolute power!!! That is very obvious! Only the complicit and the very stupid don’t see this!! In a report from the Guardian, it has been confirmed that former CIA director John Brennan colluded with British and Estonian spies who sought to both to manufacture Trump-Russia ties and bring down Trump’s candidacy as a whole. 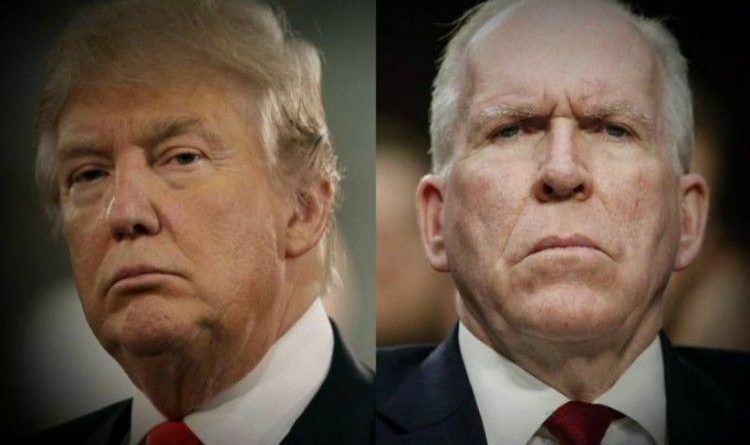 Via the American Spectator: “Seeking to retain his position as CIA director under Hillary, Brennan teamed up with British spies and Estonian spies to cripple Trump’s candidacy. He used their phony intelligence as a pretext for a multi-agency investigation into Trump, which led the FBI to probe a computer server connected to Trump Tower and gave cover to Susan Rice, among other Hillary supporters, to spy on Trump and his people. This is sad. Trying to overthrow the elected government. It’s treason. It’s the biggest scandal to ever hit American government. The Democratic party has turned the US into a banana republic where we politicize our justice dept and FBI to rig a US election. And still, Trump won! How the heck did he do it?! Everyone had landmines planted everywhere, yet against all odds, sincerely, he still became President. That has to be considered a miracle. Sarah Sanders Posts Picture With Actor Rob Lowe… Brace Yourselves, The Whiny Liberals Are Coming!